Arnemancy : What is Alchemy? The word alchemy comes from the Arabic al-kimiyya, which in turn probably comes from Greek. The Greek words may originally derive from the word “Khem,” which was an ancient Hellenic name for Egypt. Consequently, alchemy may have originally meant something akin to “the art of the Egyptians.” The art was supposedly invented by Zosimos of Panopolis, who was either Egyptian or Greek, in the 4th century C.E. After the fall of the Roman Empire, alchemy continued to develop in the Islamic world before being reintroduced to Europe in the 12th century. Notable scholars of the time, such as Roger Bacon and Albertus Magnus, embraced alchemy and aided its incorporation into Western culture. The core concepts in alchemy revolve around transmutation of one substance into another, usually a base metal such as lead or iron into a “noble” metal such as silver or gold. This was supposed to be done using a substance called the Philosopher’s Stone, for which many recipes exist, all of which are encoded in deeply symbolic allegories which are difficult or impossible to understand without some sort of secret teaching. Today we know that the transformation of one element into another is prohibitively difficult if not downright impossible, and so it makes far more sense to view these allegories as having an additional level of meaning that speaks of a profound spiritual transformation. Alchemists call the process of creating the Philosopher’s Stone the “Great Work.” Correspondences between this process and Creation abound. Planets are tied to metals, and celestial processes are tied to chemical reactions. The alchemists found parallels between their work and the Hermetica. In fact, the Emerald Tablet of Hermes Trismegistus describes “the operation of the Sun” in an obtuse symbolic language which can easily be viewed as an alchemical recipe. Incorporation of Hermetic philosophy into alchemical practice brought about techniques and terms which are still in use today. For example, the hermetic seal gets its name from the legendary teacher. Some writers have claimed that medieval or Renaissance alchemy influenced Freemasonry. While it may be a stretch to directly link alchemical symbolism to Masonic symbolism, similarities between the two systems abound. Both emphasize transformation and utilize the physical sciences as spiritual allegories. Both use a broad range of symbols to represent various “great and important truths. It is inevitable that overlap would occur. 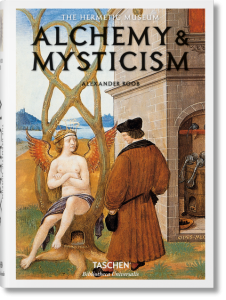 Alchemical imagery and philosophy was also a core element in the development of Rosicrucianism, which may have influenced early speculative Masonry. More than one author has suggested that the Masonic transformation of the rough ashlar into the perfect ashlar is akin to alchemical transmutation. Alchemy as a spiritual science continues to be practiced in modern times. In the past it has attracted such scientific luminaries as Isaac Newton, Elias Ashmole, Tycho Brahe, and Robert Boyle. 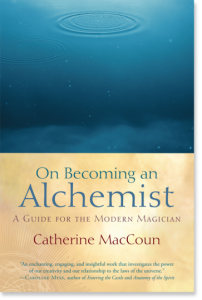 In modern times, thinkers such as Carl Jung have championed a fresh look at the lessons taught by alchemy. Though there remains some dispute over the spiritual interpretation of alchemical allegories, few would argue that this important ancient practice was a vital precursor to modern chemistry and the development of the scientific method. 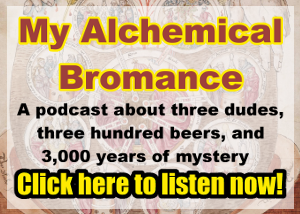 Recently on My Alchemical Bromance, we interviewed Larry Roberts, a modern alchemist. Check out that episode and see what he has to say on the subject. An earlier version of this brief article was published in Philalethes: The Journal of Masonic Research & Letters.